Andy Warhol has been praised as being one of the most visionary artists of the 20th century. He wasn’t necessarily the most talented artist to ever live, but he encouraged the world to look at art in a different way. 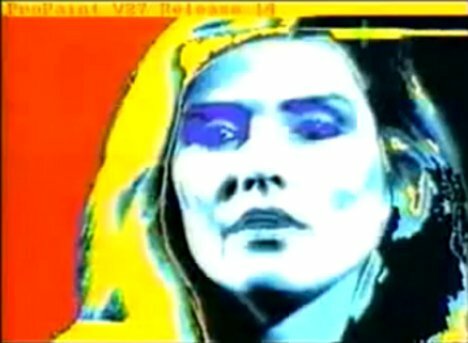 In this video of an Amiga press conference from 1985, he applies his unique brand of art to a digital portrait of Blondie frontwoman Debbie Harry. So it’s not exactly painting a portrait since all he’s doing is coloring in parts of the digital picture…but in 1985, this counted as digital art. According to Warhol, he had never “painted” on a computer before using the Amiga. His finished product is way less impressive than the stuff we can create on iPads today, but hey – he did the best with the tools available.